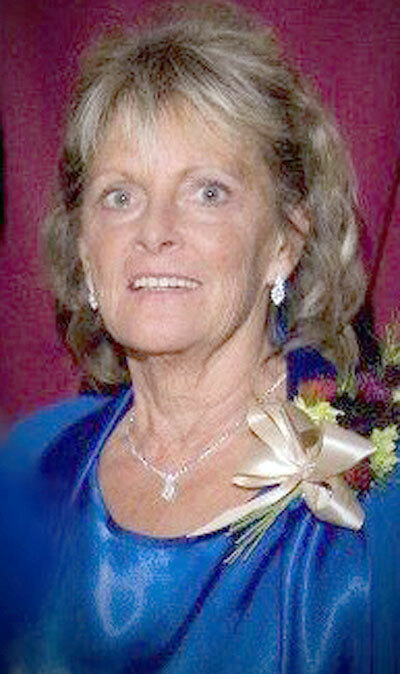 PEMBINE, Wis. — Judy Ann Ehmer, 75, of Pembine, died peacefully surrounded by her loved ones on Tuesday, April 9, 2019, at Florence Health Services. She was born in Sheboygan, Wis., on Jan. 23, 1944; daughter of the late Leonard and Lillian (Gremmer) Peik. Judy owned and operated the Pembine Heights Bar and Grill for many years until retiring in 2003. Her humor and wit made her so easy and fun to talk to that she met many friends in this business from all over and stayed in contact with them well after retirement. She enjoyed playing cribbage, crocheting, playing games on her computer and watching her beloved Green Bay Packers. Most of all she loved spending time with her family. Judy was loved by so many. She had a beautiful smile that would light up every room she entered. Judy is survived by her special companion of 34 years, Richard “Chuck” McCormick; one son, Cecil J. “CJ” (Jaime) Ehmer of Green Bay, Wis.; four daughters, Cheri Scheffen of Dunbar, Wis., Tami Jo (David) Messman of Two Rivers, Wis., Bobbie J. (Kevin) Valenta of Mishicot, Wis., and Chevonne N. (John) Tobin of Manitowoc, Wis.; 10 grandchildren, Nicki Landon of Two Rivers, Andrea Messman of Two Rivers, Cody and Marilyn Valenta of Mishicot, Lee Scheffen of Dunbar, Dalton, Raina and Grant Graf of Manitowoc, Angeline and Anastasia Ehmer of Green Bay; two great-granddaughters: Bailey Parma and Madison Rezachek of Two Rivers; and four step-grandchildren, Josh Messman, Allie Valenta, Isabella and John Tobin Jr.
She is preceded in death by one daughter, Dawn Alice Wunrow; and one sister, Lorna (Peik) Hill. Family and friends may call at 1 p.m. Monday, April 15, at Grace Lutheran Church in Pembine, until the time of the funeral service at 3 p.m.
Pastor Gene Wickman will preside. Interment will be in the Pembine Cemetery. Judy’s family wishes to send a special thank you to Donna Weber, Linda Krause, Marcy Maye and Sandy Bayer for each playing a special part in her life and always being there for her.